This is a beautiful and atmospheric Giclee art print of 'American Interior' by American artist Charles Sheeler, 1934. 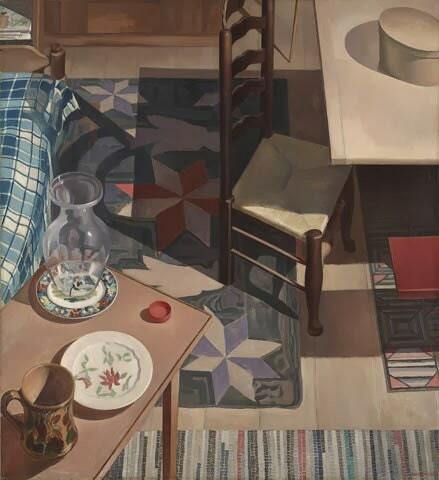 American artist Sheeler created several paintings that depict the simple interior of his home in New York. At a time when technology and mass production was receiving greater focus, these modest objects reflect his return to a bygone era.